WAAW foundation is super proud of its accomplishment this year, woohoo! 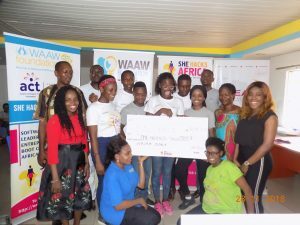 With a dedicated team, passionate board members, supportive partners, unstinted sponsors and donors, WAAW foundation provided various educational opportunities that empowered African girls and youth in 2018. 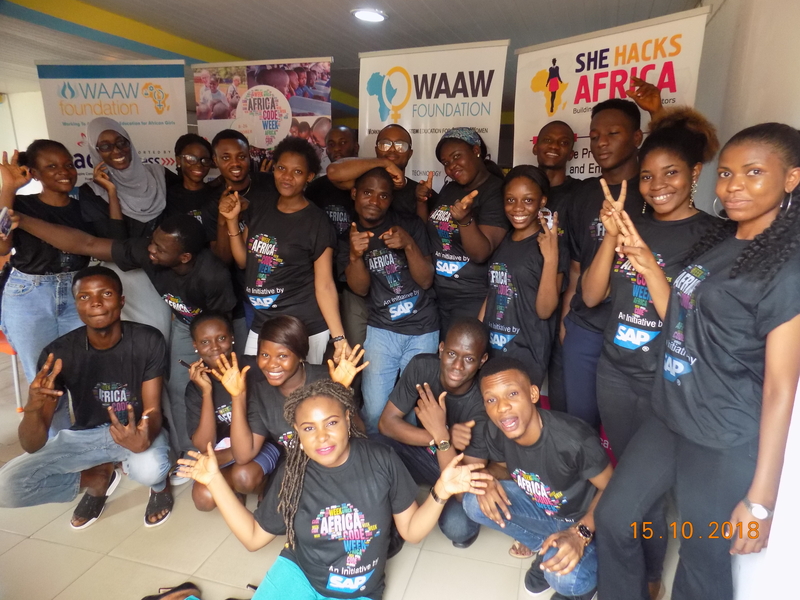 Implemented 6 She Hacks Africa cohorts, (February – November); sponsored by Aspire Coronation Trust foundation (ACT foundation) (212 young Nigerian women and men trained; 40% female participation; 35 Unique Projects solving societal problems). Level Up Village & Global Classroom initiative impacted 20 public secondary educators and 311 students while exposing them to international STEM learning platform. 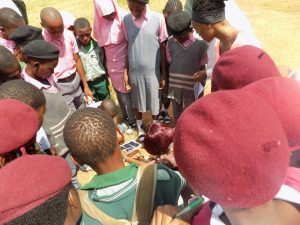 WAAW trained 780 public secondary school educators in Rwanda, Lagos and Abuja, Nigeria in partnership with 320 public schools. 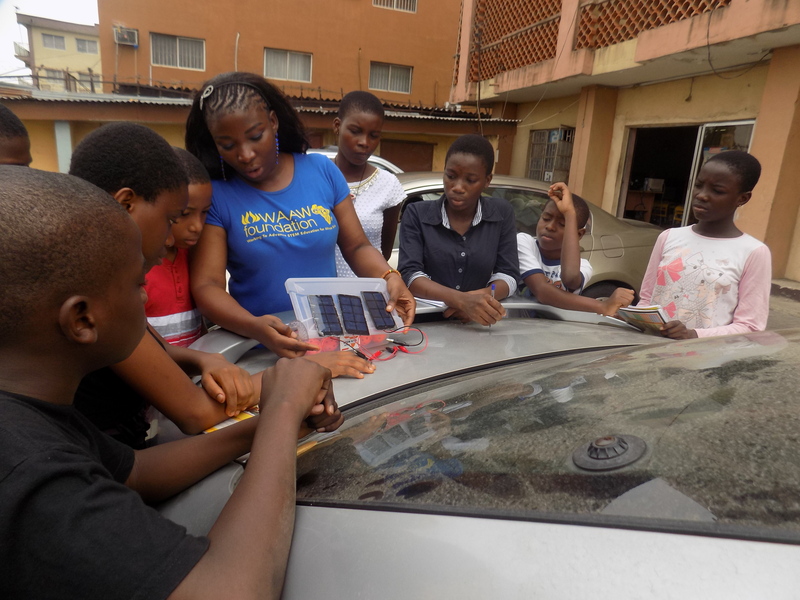 9 masters teachers graduated from our program to launch After-school STEM Clubs in 4 states in Nigeria. Trained 41 students on computer programming at the holiday code school in Lagos and Abuja, Nigeria. Developed Mobile App for Nigerian Secondary STEM Teachers includes STEM SS1-3 curriculum (80% done). Awarded 5 College Scholarships to less privileged in Kenya, Rwanda and Nigeria. Supported 8 College-to-Secondary WAAW Chapters in 8 Countries and 21 outreach visits was made with 1,236 students impacted. Received Africa Code Week grant Award to train 30 youths. Successfully completed (October). Facilitated 3D printing after-school STEM workshop for Private Secondary School (Abuja) and 14 participants were trained. Without your support, we will not have been able to have this great accomplishment. Once again, thank you for supporting WAAW Foundation to bring about the time when African girls in STEM education can achieve their dreams and be part of technological innovations in Africa. We hoped for a continued support in the future. Your donation is so deeply appreciated.